The Countryman Isomax Headset Microphone is the original Countryman head-worn microphone and a favorite for both speech and performances. The Isomax features an omnidirectional polar pattern with a flexible boom for easy positioning and the sensitive capsule features a full 20 Hz to 20 kHz frequency response for full, clear audio reproduction. The Isomax effectively rejects off-axis audio, minimizing feedback and residual noise. The flexible, adjustable band fits snugly and comfortably around the back of the head for concealed use on stage, during trade shows, speeches, sermons, etc. A wide variety of colors and connections are available for use with various wireless transmitters. This version is black and features a 1/8" (3.5mm) locking-mini connector for use with Sony wireless transmitters. 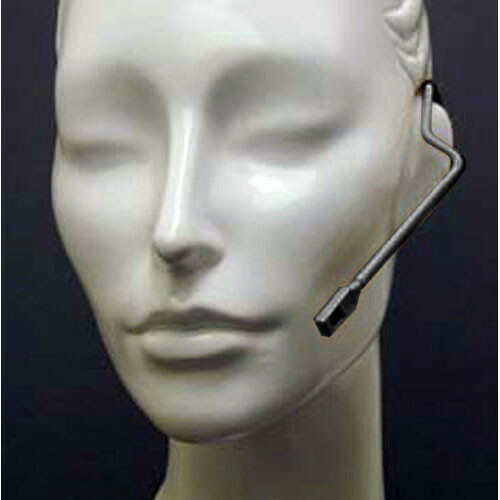 A miniature omnidirectional capsule is mounted to a low-profile, adjustable headset. The Isomax is available in a variety of colors that match different skin tones, so you can select the version that is appropriate for your application. The moisture-resistant capsule is protected against humidity, sweat, and makeup. The Isomax is available in cardioid, hypercardioid, and omnidirectional polar patterns. This version features an omnidirectional pattern that provides a generous pickup area, and effectively minimizes handling and contact noise.